Are you ready? Really? You're really ready? Okay, here we go: THE 1.7 (pre-release) IS READY FOR TESTING! There are so many things coming in 1.7, I almost can't keep track of them all. Many of them are things we have covered over the last few weeks, but the sheer volume of awesome contained in this update is staggering. Between doubling the amount of biomes in the game, and tons of changes to get ready for the Plugin API(!!! ), this really is the update that changed the world - both in-game, and out. Let's see what's coming! Servers can now put a 32×32 image called “server-icon.png” in their folder, that you will see on your server list. You can play the pre-release as you would any Snapshot, by setting it up in your launcher. Enjoy! Really excited for this. Been sitting at 1.5.2 for various reasons, this plugin API will be the best thing ever! Company Owned Hardware - DDoS Protection - Superb Customer Support - Instant Setups - Starting @ $4.95/month! So, when can we expect 1.7? In a week or so? 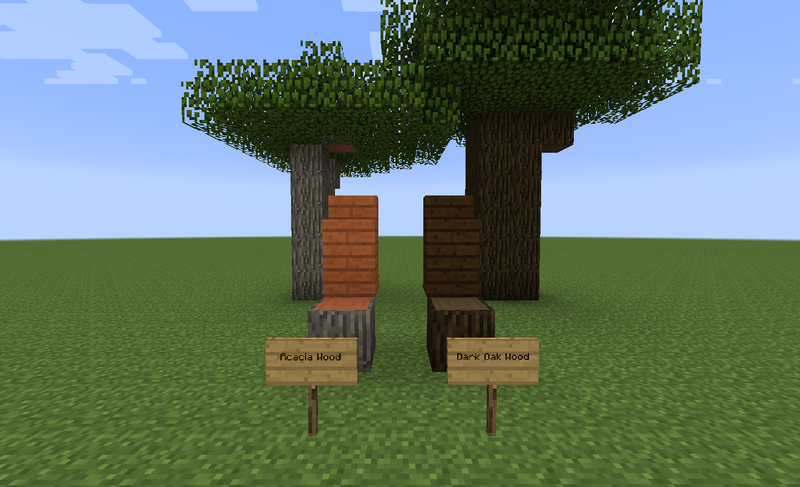 Has anyone noticed that the new logs now have their own stairs, slabs and planks? All the logs also have their own top textures now. This looks awesome, I really can't wait I'm quite interested to see ow the multiplayer (network) works out! Anyone else notice what appears to be colored wood stairs in the picture? Or is it just one of the new wood plank variations? Ever hear of something called running away? Its like running towards them, but without the confrontation and death. That's just whole logs placed vertically in a stair-step pattern, not wood stairs.Has anyone noticed the rose bush on the lower left looks different than the others? What's that red thing? They should have nerfed the amount of caves that generate...but, other then that, great job, Mojang crew :D! The title... so punny Sach, so punny. Will this update have less lag? Because,when i was playing snapshot 13w43a,it was lagging as hell. Hopefully one more week until release! It would be hilarious if this 1.7x release version ends up at 1.7.3! LOL. Then a year from now there will be a huge thread full of currently new people saying they prefer the "old" Release 1.7.3 Terrain, like that current thread about beta 1.7.3 terrain, heh heh. This is going to be one of the best updates yet! I love everything that has been added! Great job Mojang, great job! I didn't saw/played from previous snapshot yesterday and I can't wait to final release soon, so I liked those new blocks, items, features and updates. Minecraft 1.7 goes live october 25th!!!!!!!!! So pumped for the new gen! Finally! 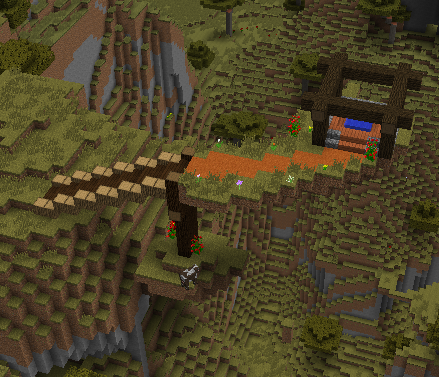 So excited, new bioms, new mulltiplayer, new commands, better texture pack ways, ect. This update will probably be the best, next update, can you plz add furniture, elevators, stuff like that? That looks cool. Thanks for posting it.